Wednesday’s disappointing US economic data result in a dollar selloff, indicating a shift in investors’ expectations about the timing of the Fed interest rate hikes. The EUR/USD rallied to a three-week high, and the USD/JPY slid to an over one-month low on Wednesday, following the weaker than expected US economic data. A session low was marked in the US 30-year Treasuries yield: 2.673 percent, the lowest since September 2012. Investors believe that the released indicators of the economic activity in America could induce the Fed to delay implementing its first interest rate hike. According to Commerce Department data, US retail sales shed 0.3 percent in September. The Producer Price Index marked a decrease of 0.1 percent in the previous month, its first decline in over a year. The New York Fed’s Empire State general business conditions slumped to 6.17 for October from 27.54 for September; that was the most sluggish rate of manufacturing activity since April in the New York state area. Those releases contributed to the opinion that a delay could be expected in the Fed’s rate hike from the current rock-bottom levels. Such an increase in borrowing costs is expected to be positive for the incoming investment flows into the US, and thus boost the dollar appeal. 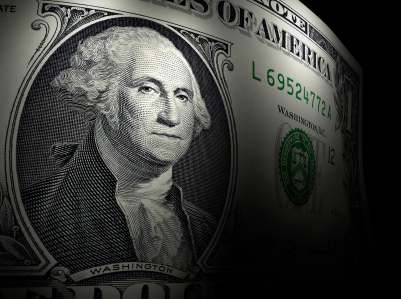 The greenback decline is generally regarded as a comfortable opportunity to buy, provided that traders believe in the continuing outperformance of the US economy. According to analysts, the meager US data redirected traders’ attention to America, after the European and UK economic data on Tuesday weighed on the common currency and on the sterling, respectively. As of now, the EUR/USD is trading 0.9 percent higher at 1.2773. That is still substantially lower compared to the session peak of 1.2885 though. The USD/JPY slid to 106.09, recovering from the session trough (a one-month low) at 105.21. The USD/CHF hit a 3-week low of 0.9361 earlier in the trading session.